Bill Gates is leading a more than $1 billion fund focused on fighting climate change by investing in clean energy innovation. CEI is thrilled about this commitment from patient investors and ready to lead the charge of impatient researchers. The Puget Sound Business Journal interviewed Director Dan Schwartz about this opportunity for the Seattle region. 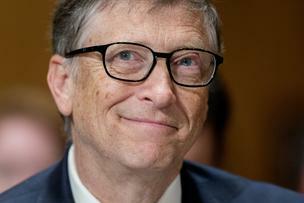 Seattle-area billionaires this week came together to launch a $1 billion venture capital fund led by Microsoft co-founder Bill Gates. Breakthrough Energy Ventures boasts investments from entrepreneurs including Amazon founder and CEO Jeff Bezos and Alibaba founder Jack Ma. Venture capitalists are generally hesitant to back clean tech. Silicon Valley investors bet big on clean energy technology between 2006 and 2011, pouring $25 billion into the sector. They lost more than half of their investments. Since then, it’s been difficult to get venture capitalists to fund clean tech. This new 20-year fund, though, will focus on early- and growth-stage investments in clean technology startups that are creating reliable, affordable and zero-carbon energy, food, products and services. Instead of a traditional VC model, which generally requires liquidity within five years, the 20-year structure of the Breakthrough Energy Ventures fund means it can take a risk on a revolutionary product or service and give it time to get from lab to commercialization. While the fate of efforts to reverse the effects of climate change at the federal level are uncertain, University of Washington Clean Energy Institute Director Daniel Schwartz said the Seattle-area business community can lead by example. Puget Sound-area companies are already taking the initiative to promote the use of sustainable energy. Microsoft and Amazon, for example, are investing in renewable sources including wind farms to power data centers. Boeing is hiring environmental experts to help reduce the company’s contribution to greenhouse gases, 4 percent of which are emitted by the aerospace industry. While Schwartz said the effects of a President-elect Donald Trump’s administration on clean technology is still uncertain, it’s clear now is an important time to invest in the sector. The environmental and economic case for reducing greenhouse gas emissions are clear in the Puget Sound region. Washington state would be directly impacted by a rise in sea levels, for example. Less snow on the mountains — as the state saw a few years ago — has a drastic impact on the agriculture industry here. Sustainable energy sources are often cheaper and can create more jobs than traditional sources. Solar energy exists as a small fraction of the overall energy mix, but the sector accounted for more jobs in 2015 than oil and gas extraction or coal mining. Reducing energy used to heat and cool buildings by taking advantage of natural air flow is not only greener — it’s less expensive. Gates’ Breakthrough Energy Ventures is a high-profile business effort to promote clean technologies, but Washington state already has several. The state’s Clean Energy Fund provides grants to companies and organizations working to develop clean energy and the Clean Tech Alliance works with companies and institutions to help commercialize the products and services. Schwartz’s Clean Energy Institute works with students and serves to advance new solar energy and battery materials and devices.